The theatre we practice is street theatre and action in the street. Scenes are performed in places that are used daily by all inhabitants. In short, especially in places where we would not expect them to take place. We deliberately surprise and unsettle the onlookers round the corner of a street. And so, this street art, this art in the streets, gives us the opportunity to imagine a collective fantasy, a unifying dream. His mother is a musician and father a DIY genius. 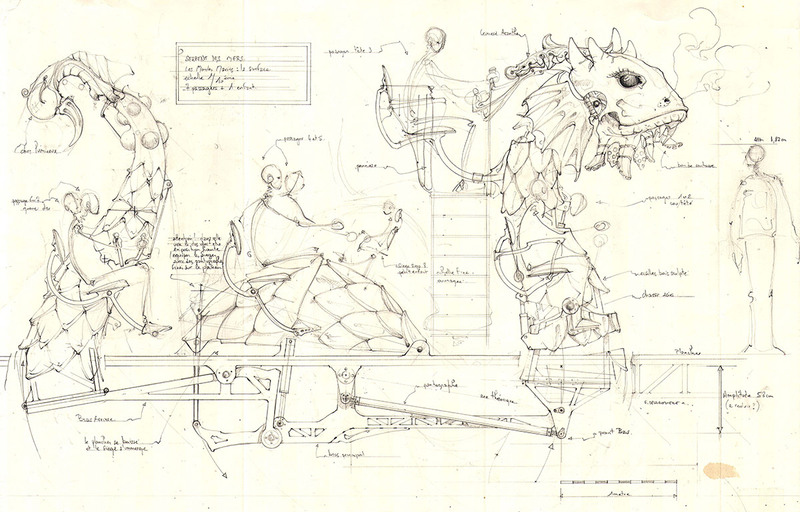 François covers his drawing pads in sketches of fantastical machines, carefully illustrating all aspects of their workings. “I like the insides of machines to be visible, their architecture, cogs and pulleys, so that we get a feel for how the thing is made.” In 1999, he creates La Machine, a non-profit organisation, constructing theatre sets, carousels for children and machines for productions. As artistic director of the company, François Delarozière ceaselessly explores the art of moving machines and their capacity to arouse emotion in the spectator. In this respect, his approach to street theatre is more visual design than narrative. 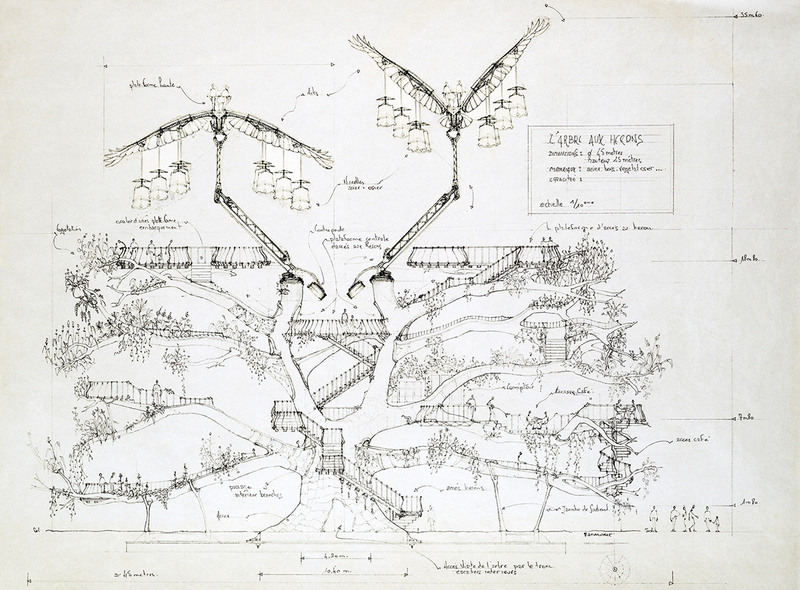 In 2003, wishing to involve themselves in the ongoing major urban regeneration project in Nantes, François Delarozière and Pierre Orefice propose several drawings to Jean Marc Ayrault, Mayor and President of Nantes Métropole. These would become Les Machines de l’Île, located on the Western point of Nantes Island, as part of the urban regeneration programme led in association with the architect Alexandre Chémétoff. These cultural and touristic facilities are inaugurated in 2007 and open the door to City Machines. These permanently located moving architectures bring dynamics into public spaces, as can be seen in Les Animaux de la Place in La Roche Sur Yon. As a designer and builder, François Delarozière also contributes to the architectural refurbishment of the Channel Theatre in Calais with architect Patrick Bouchain. François Delarozière is also a scenographer and director. As such, he started the Le Grand Répertoire-Machines de Spectacle, an exhibition-show presented between 2003 and 2006 in Nantes, Calais, Toulouse, Anvers, Marseilles and Paris and which attracted more than 700,000 spectators. 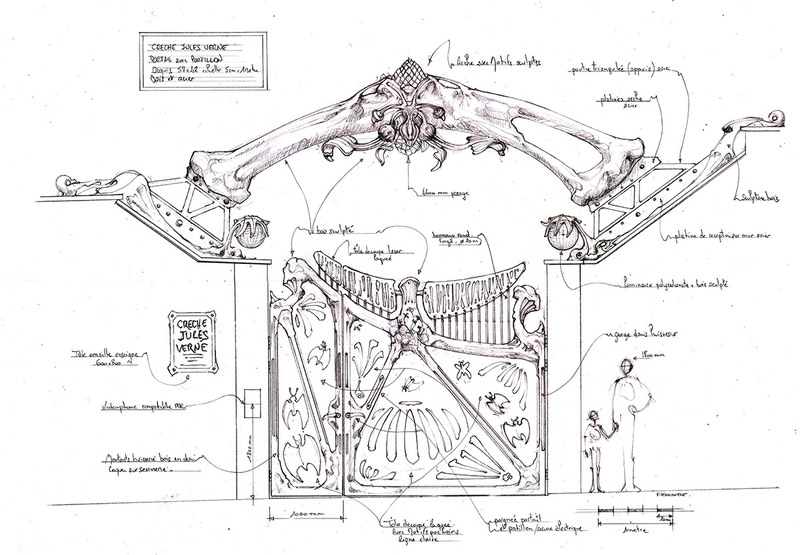 In 2003 he creates La Symphonie Mécanique, combining the world of classical music and mechanical sounds. This philarmotechnical piece was co-written with Mino Malan. In 2008, Les Mécaniques Savantes are presented as a world-wide exclusive for Liverpool, European Capital of Culture. This mechanical bestiary is also presented the following year in Japan for the 150th anniversary of the opening of the port of Yokohama. 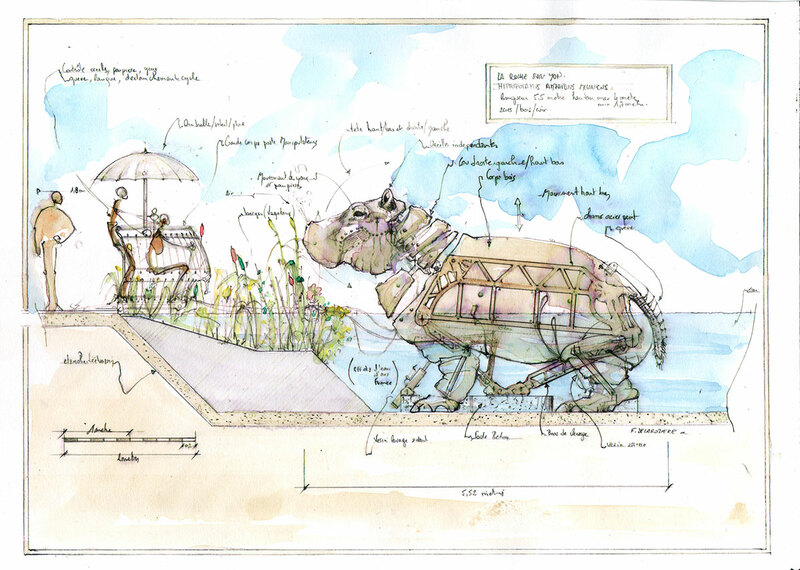 In 2010, a new production Le Dîner des petites Mécaniques is created, showing a new way to prepare and present food, whilst the Expédition Végétale and its team of botanists take flight. 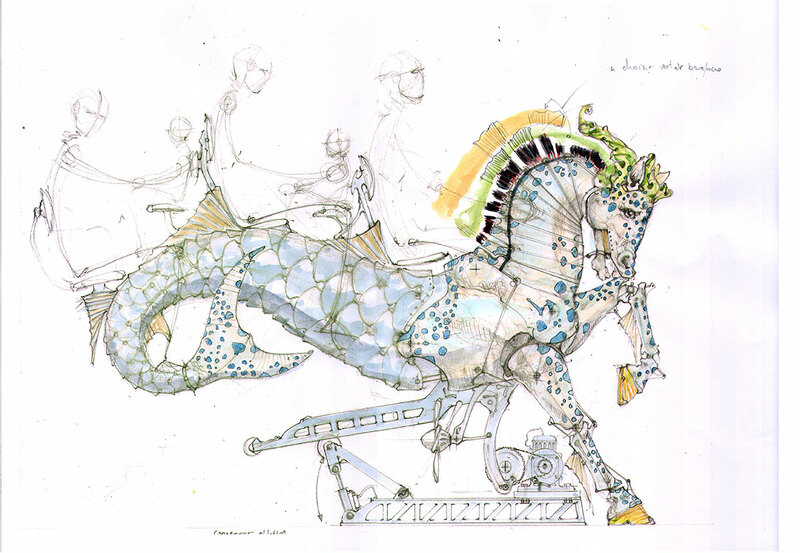 His latest creation, “Long Ma Jing Shen”, stages a Dragon-Horse created for the 50th anniversary of Franco-Chinese diplomatic relations in Beijing in 2015. For several years now, François Delarozière has been teaching scenography at the School of Architecture in Nantes. He was involved in the setting up of the FAIAR (Advanced and Itinerant Traning for Street Arts) project. He has been invited as guest speaker to the Sorbonne and the Bartlett School in London, as well as in Japan, Mexico, China and the United States, as well as at various seminars. Finally, he took part in the project Musica ex Machina at the University of Tours. The majority of his artistic adventures have brought about publications such as, Grand Répertoire- Machines de Spectacles, Carnet de croquis et réalisations or La Machine : Spectacles published by Editions Actes Sud. 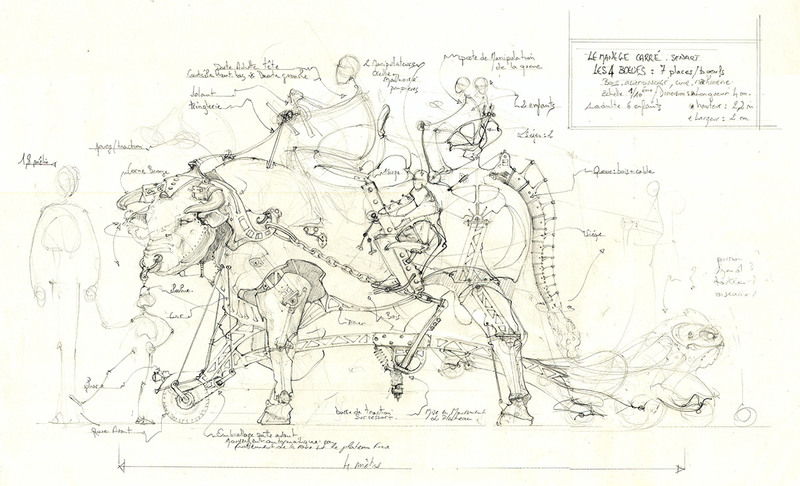 He also published his sketches in notebook format : Les Machines de l’Île, Le Manège Carré Sénart, Les Mécaniques Savantes, Le Carrousel des Mondes Marins, Les Animaux de la Place, all published by La Machine.